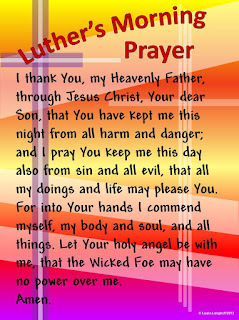 I love Luther's morning and evening prayers. 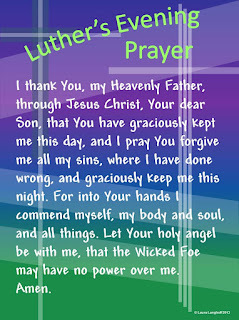 I think they are something we should teach our children and when I taught 7th and 8th grades in a Lutheran school, every morning we would say the morning prayer before we began the day. I created an 18" x 24" poster to make it easier for the kids to remember. You can see them below and get a file on my posters page. The problem with the younger children is that the way they're worded makes them difficult to understand. 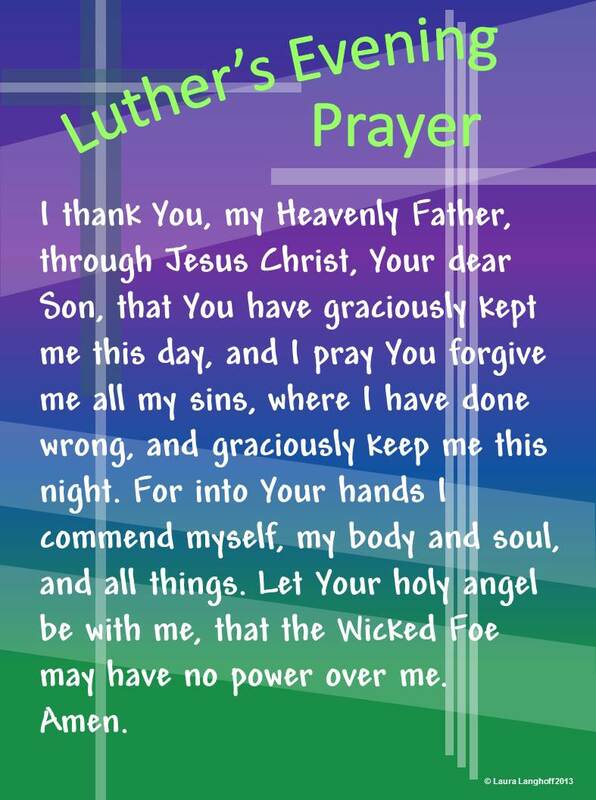 Valuing the prayers and wanting younger children to be able to say them and understand them more easily, I reworded them for a children's message. I tried to keep the message while using simpler, more understandable words for younger children. 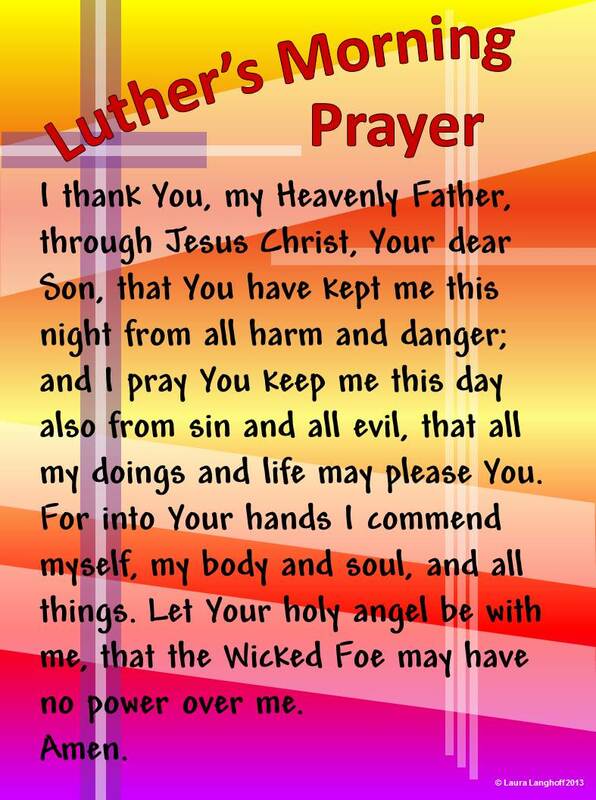 Posters for each prayer are below and can be found on my posters page along with directions about how to order them for $4 each. For the children's message on Sunday I created some cards for each of them to take home and put in their bedrooms to remind them to say the prayers every day/night. People have been asking for them ever since so I thought they might be worth a share.